Join the Schenectady County historical Society and award winning author David Pietrusza just days after the election of 2012 to discuss the campaign for President in 1960. It was the election that would ultimately give America “Camelot” and its tragic aftermath, a momentous contest when three giants who each would have a chance to shape the nation battled to win the presidency. Combining an engaging narrative with exhaustive research, Pietrusza chronicles the pivotal election of 1960, in which issues of civil rights and religion (Kennedy was only the second major-party Roman Catholic candidate ever) converged. The volatile primary clash between Senate Majority leader LBJ and the young JFK culminated in an improbable fusion ticket. The historic, legendary Kennedy-Nixon debates followed in its wake. The first presidential televised debates, they forever altered American politics when an exhausted Nixon was unkempt and tentative in their first showdown. With 80 million viewers passing judgment, Nixon’s poll numbers dropped as the charismatic Kennedy’s star rose. Nixon learned his lesson—resting before subsequent debates, reluctantly wearing makeup, and challenging JFK with a more aggressive stance—but the damage was done. There’s no one better to convey the drama of that tumultuous year than Pietrusza. He has 1,000 secrets to spill- a fascinating cast of characters to introduce (including a rogue’s gallery of hangers-on and manipulators)- and towering historical events to chronicle. And all of it is built on painstaking research and solid historical scholarship. 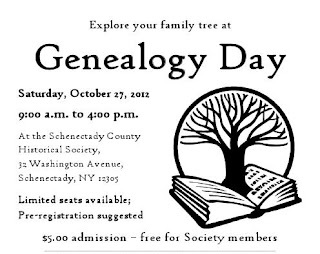 This program will be held on Sunday November 11, 2012 at 3:00 PM at the Schenectady County Historical Society. The Schenectady County Historical is located at 32 Washington Ave. Schenectady, NY 12305. The Historical Society is wheelchair accessible and does have off-street parking. 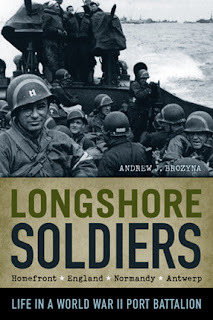 This program is free to Society members, $5 for non-members. For further exhibit and program information, call 518-374-0263&#215-4, visit www.schenectadyhistory.net for details, or check their Facebook page. 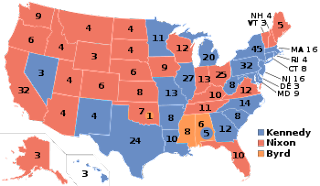 Illustration: The 1960 Electoral College Map (Courtesy Wikipedia).